It is this constant, ever-changing nature that makes The River a classic metaphor for all of life’s journeys. Those who are intimately connected to The River have a unique perspective on life. It shapes them in ways that are hard to explain to people who don’t understand rivers. In a recent conversation with a buddy of mine, I was discussing how River People are different and trying to explain why that is. It occurred to me that where most people use The River as a metaphor for life, River People see life as a River. It is their understanding of the nature of The River that guides their philosophy on life. My father always used to say, “It is what it is, you gotta go with the flow”. This is the foundation of River Philosophy. On the water, the current determines what is needed from us at any given time. 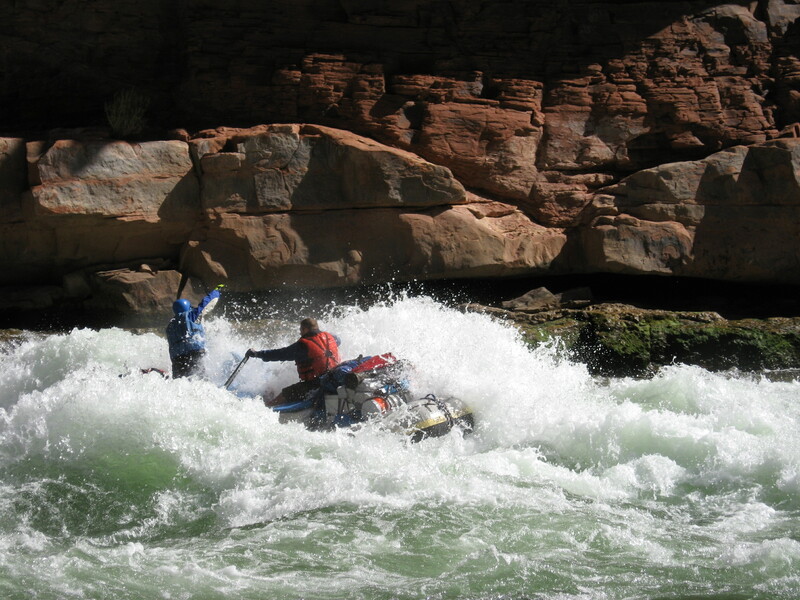 When approaching a rapid, The River demands our attention, forces us to plan our route, to set up for the run and have the physical strength to keep our course. When the water is still, we are allowed to rest and enjoy the scenery, or prepare for the next rapid. All the wishing, fighting, crying and demanding in the world will not change the river’s current…we must accept it for what it is, choose our course and do our best. Adversity makes for great storytelling. 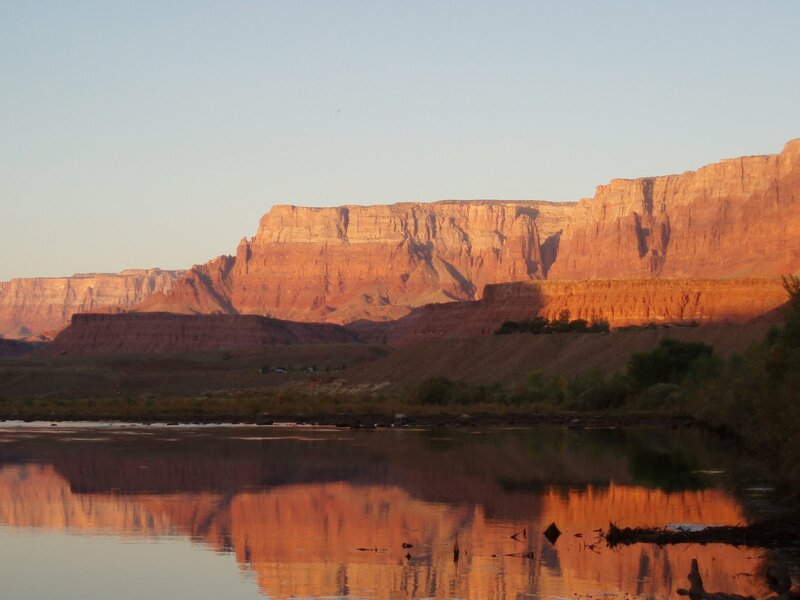 There are very few river stories about floating flat water, but there are many, many stories about the rapids. That’s why rapids have some of the best names ever. On the river, it’s not a question of IF there will be another rapid but where. This means you can’t allow yourself get complacent or sloppy, you can’t lower your guard for long or The River will punish you. You know there will be challenges, there will be danger, there will be chaos and if you make it through, there will be a story to tell around the next campfire. I used to think running The River was all about chasing the rapids and the rush of plowing through whitewater. I used to hate flat water and spent tons of energy pushing to get through it as fast as possible. As I’ve grown on The River and observed the old-timers I’ve rafted with I’ve noticed that they relish the flat water. Old men with white beards would sit back, oars up, and watch me furiously row past them frustrated at the slower pace. For all my huffing and puffing, we’d all end up at the same place and usually about the same time. I eventually learned that the wise River Veterans were doing two very important things on the flat water: Resting for the next push and reading The River. I had to learn that when things are calm, sometimes you have to stop pushing to be able to feel where you are naturally being pulled. Like The River, sometimes you have to be still and read the subtle signs of life’s current to find the best path. When you watch River Veterans run serious rapids, class IV+ stuff, it almost seems as though they are doing nothing. A dip of the oar, a shift of weight, the flutter of a paddle is sometimes all that is needed. The reason for this is all the work done upstream. They watch the water, read the current, position the raft and set everything up above the rapid so that they can execute a clean run. When I was younger I approached rapids as a war and in the heat of battle I would fight for the position I wanted. I had to learn that all the options exist upstream, before the rapid. Options disappear once you are in the grip of the rapids. Working upstream to select the best options, to set up for the best position, put your boat in the right current allows you to ride through the whitewater with only minor adjustments. River People approach life the same way…plan, prepare, execute upstream of life’s challenges and the battle will not be as difficult to win. The River is full of Eddies of all sizes. For those of you who don’t know, an Eddie is where the current curls back upstream, typically along the bank. Weak Eddies create quiet flat spots and strong Eddies can create wild whirlpools. 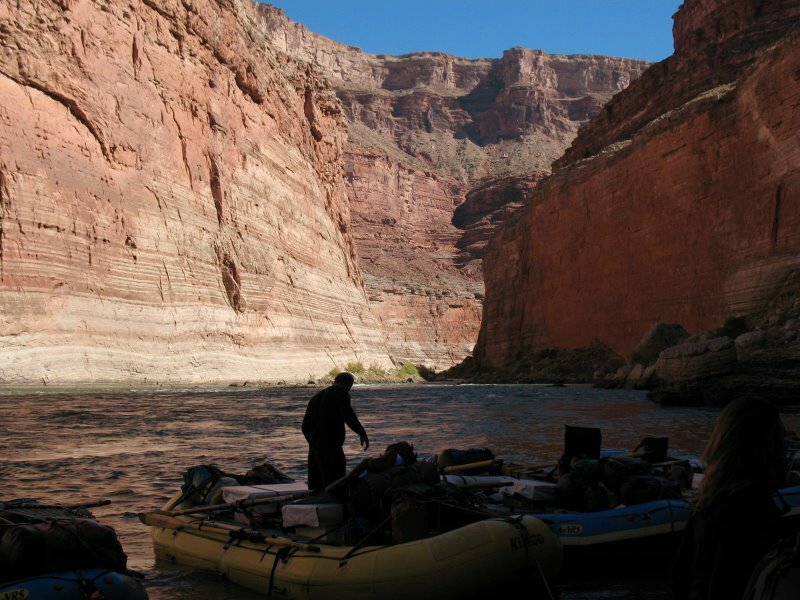 Eddies are valuable tools for River Runners allowing them to escape the main current and catch their breath, set up for the next push, or sometimes float back upstream. In long rapids or dangerous multi-stage runs, Eddies are invaluable. In longer stretches of life’s turmoil, sometimes you need to look for those opportunities to pull away, stop, take a breath and regroup. Sometimes it might help to backtrack a little bit and make a new start in another direction. Life doesn’t offer a lot of Eddies, so you have to watch for them and take them when you need them. Just make sure you don’t get stuck, some Eddies are hard to get out of once you’re in them. I’ve been lucky enough in my life to float with some of the best River Veterans in North America. When I ran the Colorado in 2007, I had about 20 years of river experience and I was still considered a “pup”. I’ve spent a lot of time on the river with guys who have spent more time on the river than off of it and I’ve learned a lot from them. There is a quiet wisdom earned by long stretches of time in, on and by the water. I yearn to get back to The River and continue my education. “As long as there are young men with the light of adventure in their eyes or a touch of wilderness in their souls, rapids will be run.” — Sigurd Olson. Have you spent time on the water, in the outdoors? What lessons have you learned from nature that can be directly applied to life? How has the outdoors shaped your personal philosophy?